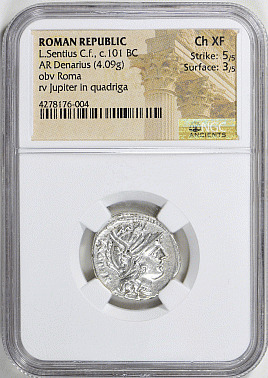 Helmeted head of Roma right; Reverse: Jupiter in fast quadriga right. Ancient Attica, Athens c.454-404 B.C. AR Obol (0.67 gms) NGC VF Strike 4/5 Surface 3/5 Photocert.